“I rise up, towards the surface. Through velvet blue into grey dimness. And sound starts to penetrate now. Low echoes vibrating through the water. Evie is broken. Her ribs have caused her so much pain over the last few years and she now has the chance to breathe freely again, yet she will always be broken. Wrapped up in a cover up told to school mates she cannot turn to her friends to talk about the fact part of her rib had to be removed because it was left shattered by abuse. Her adopted parents are comforting, make her feel special, but sometimes she struggles, thinking they can never understand her pain. When her Uncle Ben suggests carving her rib bone into a pet dragon its a project to take her mind off things, but as the dragon comes to live Evie starts leaning onto it even more. Some things cannot be fixed, much like Evie’s ribs, and some things do not deserve to be forgiven. Revenge is required and it would seem that the dragon is the one to carry it out. What a book, a fantastical thriller it had its darkness but there were also aspects of light. When all we know is suffering it is hard to peak out into the light but Evie does it well and she is strong, especially with her dragon at her side. I loved a lot about this book but it wasn’t a nice book at all. There were certain expectations of Evie and her stroyline and I don’t feel that they were fully delivered, but they were alluded to at least. Evie believed that there was revenge needed for what was done to her but she doesn’t exactly want to reap that revenge herself, I think this is because of her hoping she can step out of the life she once knew and live the one she’s got, and she doesn’t want to make herself even more different than she already is. I liked how her character developed over the course of the book and how mature she seemed in places. A lot of books which tackle dark issues such as abuse, death and illness do it in a suspenseful way, there are big reveals or something major and obvious happens later on, but with The Bone Dragon you are made aware of the terrible things that have happened very early on. Despite Evie not saying what actually happened with her birth family you can gather the pieces and make your own picture very early on. She was clearly abused in a terrible way which left her broken and alone. The way she was eventually able to confide in her adopted parents showed that she had trouble trusting people but knew that she would eventually be able to let others in. This is obviously a very big thing for people who have been treated in this kind of way and I appreciated what Evie was going through, but could never fully understand it. This book is special though because it takes things that you don’t think you could ever understand and allows you to know what the person in that situation could be feeling. You know that their emotions are completely all over the place and how they just want everything to be right, and real, and ok. That they want revenge but they are worried about what will have if they try to get it or what will happen to those they love who might do it for them. I am waffling and honestly its because there is a lot about this book that I loved and so much I don’t think I can put across without spoiling it, or with the elegance of Alexia Casale’s writing. I love just how much focus there was and how involved you in Evie’s mind, yet how removed you are when she shuts down, even from herself. The dragon is just magic and I loved what it represented but I just can’t go into that in a way to do it justice. I think you can gather form my waffle and my gushing that you should just read this book if you haven’t already. 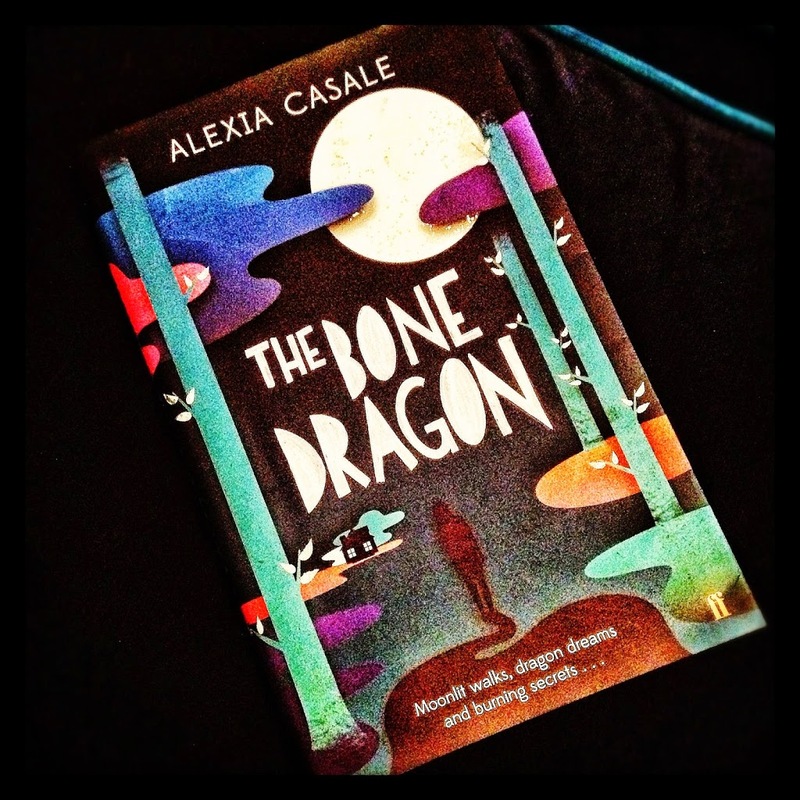 The Bone Dragon was published in April 2013 by Faber & Faber. My copy was purchased from my favourite indie book store, Storytellers Inc.
And once again I feel the need to read this. I hope I listen to my own advice one day! Glad you loved it.